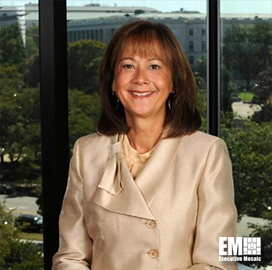 Karen Evans, assistant secretary for the Energy Department’s Cybersecurity, Energy Security, and Emergency Response office, has told House lawmakers that CESER is fulfilling its mission of mitigating energy disruptions and cyber attacks, MeriTalk reported Friday. Evans explained to members of the House Energy and Commerce Committee that recent hurricanes and a natural gas pipeline incident in Massachusetts have allowed CESER to implement its emergency response plan. She added that CESER worked and will continue to work with sector coordinating councils where interagency and international partners can address security and resilience issues, as well as where the Energy office can influence the decisions of private sector utility providers. CESER also launched the Cyber Testing for Resilience of the Industrial Control Systems and Cybersecurity for the Operational Technology Environment programs, both of which seek to identify vulnerabilities or malicious behavior in energy technologies. CESER will coordinate with private entities willing to have their OT components tested as part of CyTRICS.